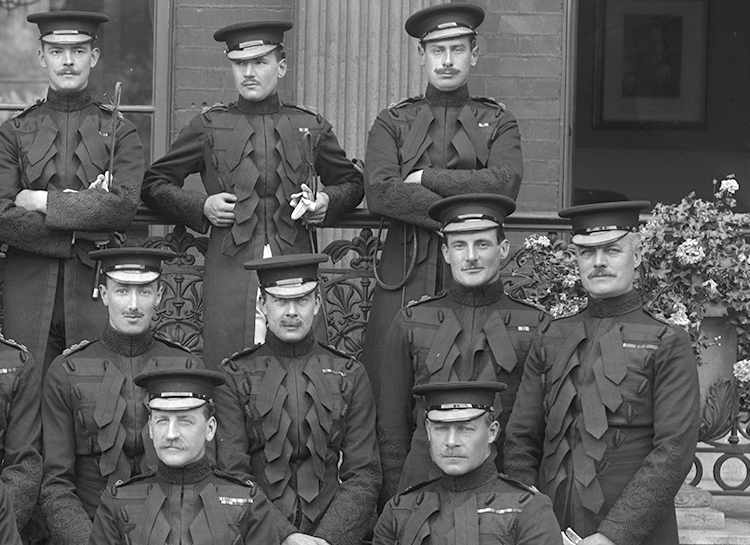 Officer's Group, Royal Horse Guards. 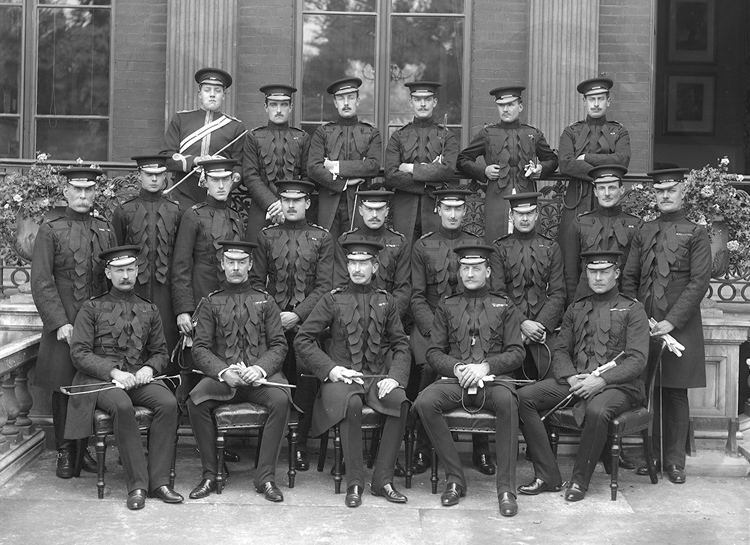 Subject: Officer's Group, Royal Horse Guards. (3) Lieutenant-Colonel Gordon Chesney Wilson (1865-1914). 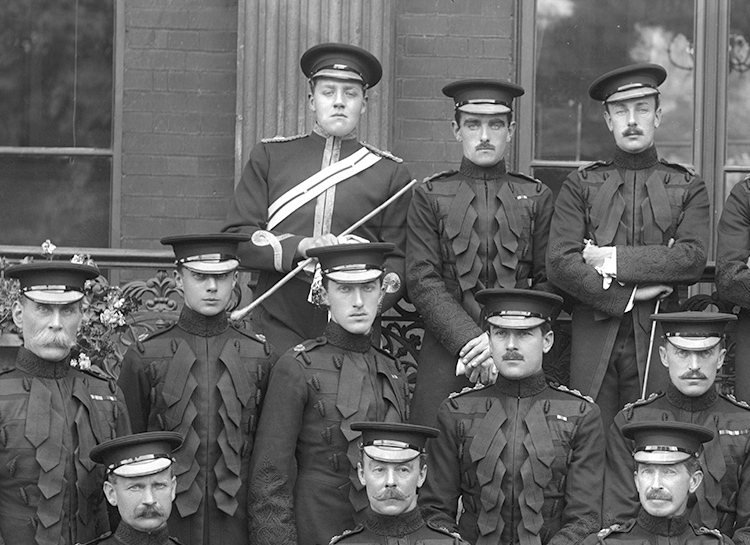 Costume: Undress uniform, Officers, Royal Horse Guards, (except sitter (1) back row, who wears the Mess Dress of an officer of the Royal Horse Guards). Evidence of photographer at work: 1. Biog: (Wilson) Who's Who; The Army List, 1912; The Times, 10 November 1914, p 4b. Costume: Dress Regulations for the Army, London, 1911.